The smart speaker wars are in full swing, with Amazon and Google dominating most of the market. 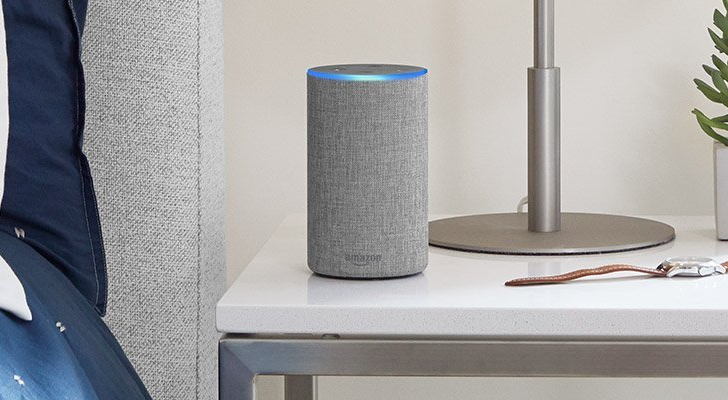 Amazon's Alexa assistant was first on the scene, but Google Assistant is making progress, particularly with the Home Mini and third-party speakers. According to a report from The Information, Amazon is working on its own AI chip designed to make Alexa-powered devices respond quicker. No matter what virtual assistant is being used, all smart speakers work the same way. Once you say the hotword, the speaker records your command, then sends the recording to a server for interpretation. The server then determines what you said, and sends the appropriate response back to your speaker. Put simply, the speaker itself can't figure out what you're saying, so it sends the recording to a more powerful server instead. The report claims that Amazon is working on its own AI-powered chip, which would allow some voice commands to be processed entirely on the device. While complex commands or music playback would still require a server to process, simple tasks (like telling the user what time it is) could be processed locally. There are a number of benefits to this functionality, if Amazon can get it working. It would allow smart speakers to partially work offline, and for commands that can be processed locally, responses would be instant. It's impossible to guess when this AI chip will be available to manufacturers, but considering Amazon just refreshed its Echo products, I wouldn't expect it anytime soon. You can find the original report at the source link below.